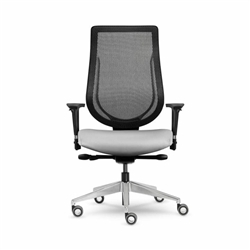 With its standard back height adjustment and U-shaped frame, the You High back task chair was designed to conform to the shape of the user’s back providing full support. 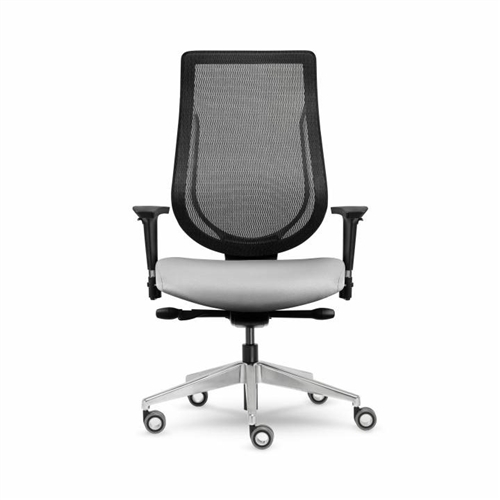 The You High Back chair provides a sleek design profile for any office environment. Also available in Mid Back. Upholstered seat with a mesh back, innovative back suspension, deluxe synchro tilt mechanism, ratchet back height adjustment, width adjust option on all models with task arms, TVO base with 65mm casters. Conference arms come with a chrome accent.